Many of us would never think to just go to our dads and demand from them our share of the inheritance. I mean, inheritance is simply an after death issue. 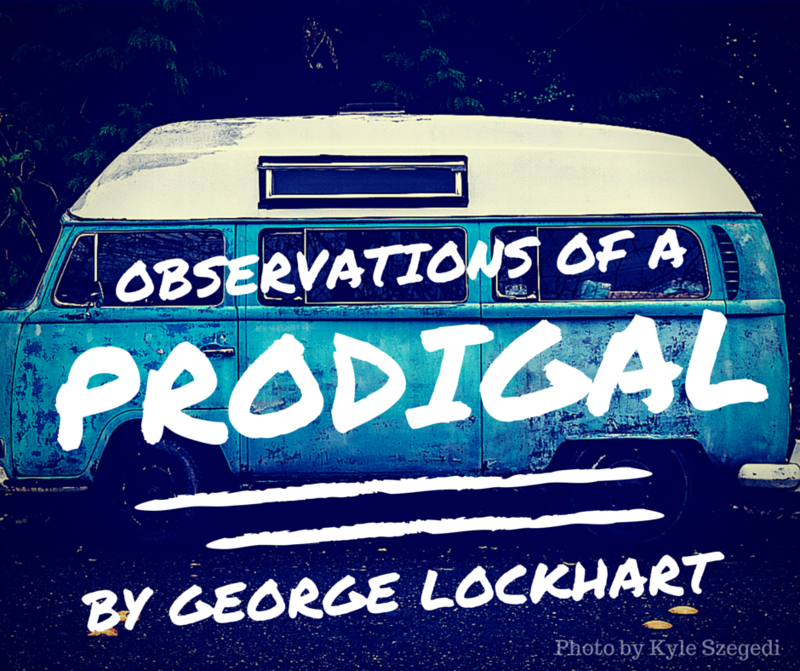 When I read the story of the prodigal, I see a couple of things that just blow me away! First is the audacity of the youngest son. Come on, dude! How selfish can you be? How arrogant, insensitive, careless, can you be? It’s like he’s basically saying to his dad: “You’re as good as dead to me already.” Wow, can you believe that? He’s all about himself. It’s not that his home life is bad, it’s just that he thinks there more to life than what he has. He somewhat feels like he’s missing out on something. And he doesn’t have time to wait for the old man to kick the bucket to get his share of the stash. If this was my kid, I’d have to fight a response out of anger and certainly I’d be heartbroken. I doubt seriously that I would make arrangements for him to take anything. What had this father done to deserve this kind of treatment? What was that was so bad about the father’s house? Nothing. The issue is not the father’s house, supply, care or anything like that. The issue was son’s heart. The son simply did not love the father the way he should. He had no respect, no care, no love. If it’s one thing I’m learning it’s that you can never make someone love you. It will never work. Love is a choice. We choose and are chosen in love. This brings me to the second thing that just blows me away. It’s the father’s response. The father goes out and begins to sell off his stuff to meet the sons’ request. And not only the youngest son’s share but the oldest too! The father gives both boys their inheritance now. It’s like the father died. He sacrificed not because he was obliged to but because he loved his kids. The father could have had the boy taken out and stoned for being a rebellious child. That was the law of their culture. But Jesus pulls a fast one here. He shows a Father who doesn’t demand we love Him but is willing to give us the option to love Him back. The father puts no stipulations on the money, no terms for the boy, just gives it to him and allows him to choose his own way. This is a love that simply astounds! One that would never let me go but allow me to leave if I so chose. I find that it’s quite easy to live the prodigal life. It’s easy for me to demand of others, to try and make them love me. It’s easy to demand of God and for me to not love Him back. It’s easy to forget what the Father has provided for me. It’s easy to think life would somehow be better somewhere else. However, it’s just not true. The prodigal life is not one demanding so much of an inheritance for me as much as it is not desiring to remain with the father. There are far too many times when I just feel like rushing out into the world and doing my own thing. Far too many times I feel that I’m somehow missing out on something. But time after time, I hear God simply say; “it’s your choice. I love you but I can’t and won’t make you stay. I just want you to choose to love me back. I’m your Father and this is where I will be.” And thankfully, His kindness is enough to lead me to repentance! If you were making this a movie, what city would this be filmed in and why? What is it about the grass on the other side that makes it look so much greener for you? What lies have you bought that make you believe life would be better elsewhere, doing otherwise? What Truth do you know to fight and dissolve those lies? How would you respond if your child demanded their inheritance now? Would you give it to them…or really give it to them? What characteristics or character qualities do you see displayed in just the first couple verses alone? How would you say you’ve been like the younger son? What does the father’s response reveal to us about how God treats us and how He wants us to treat others, especially in a family situation? What character flaw do you think the younger son had that led him to the prodigal life? What character flaw do you have that could lead you down the same path? The father’s response was nothing short of gracious and certainly full of grace. How can you better respond to those around you who are demanding and selfish? To those in your family? To those in your church family?